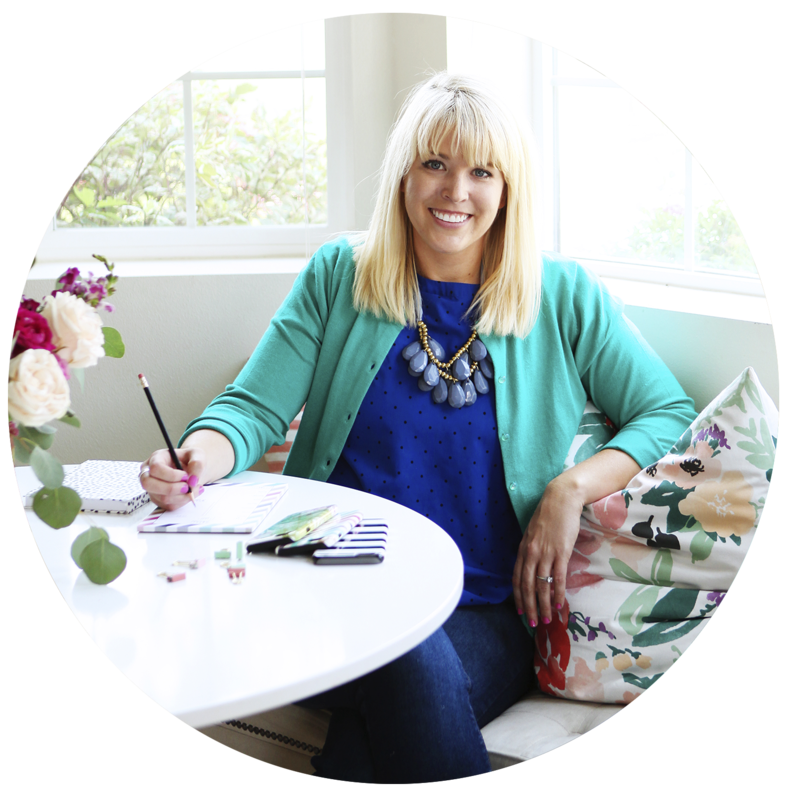 -Updated with my ombre frosting for our Valentine’s Day treats! One of my favorite things about going back to Salt Lake to visit family is visiting all our favorite food spots – old favorites from when we lived there and new spots that have popped up. 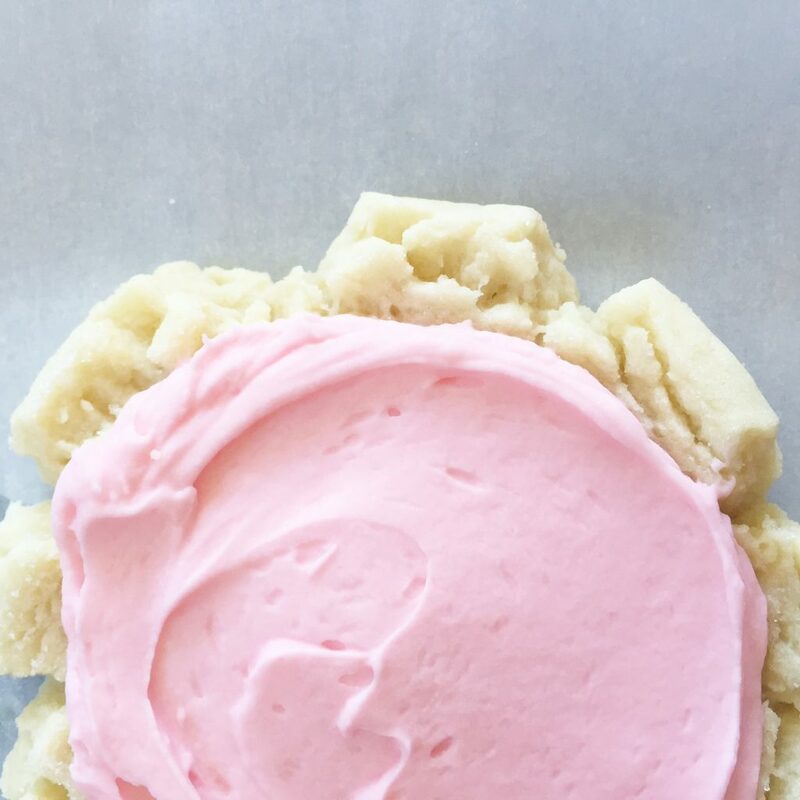 Swig Sugar Cookies are always a must. A big food trend in the past several years has been drive-thru soda stops – complete with dozens of sodas, syrups, shakes, and really almost any combo you could think of for a drink. 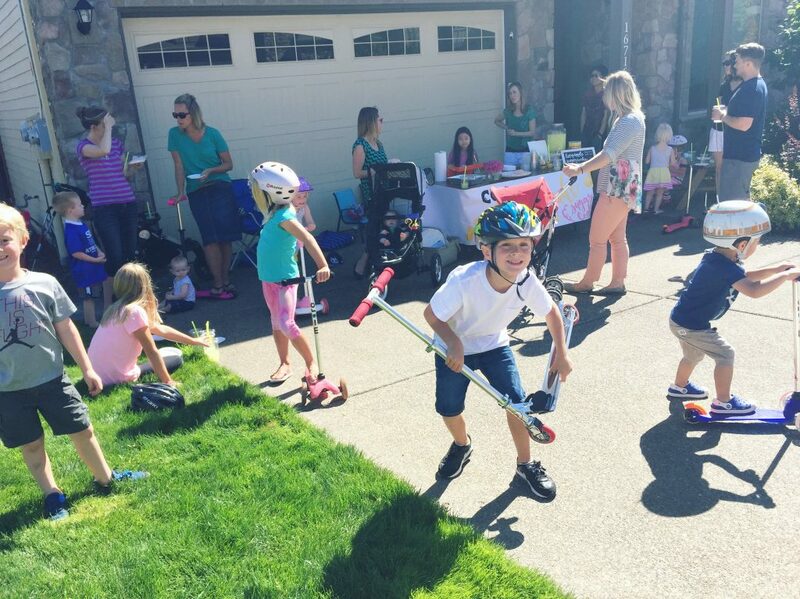 Many of these stops also sell homemade sugar cookies. Really big, really thick, and slightly chilled which for some reason makes them taste better. 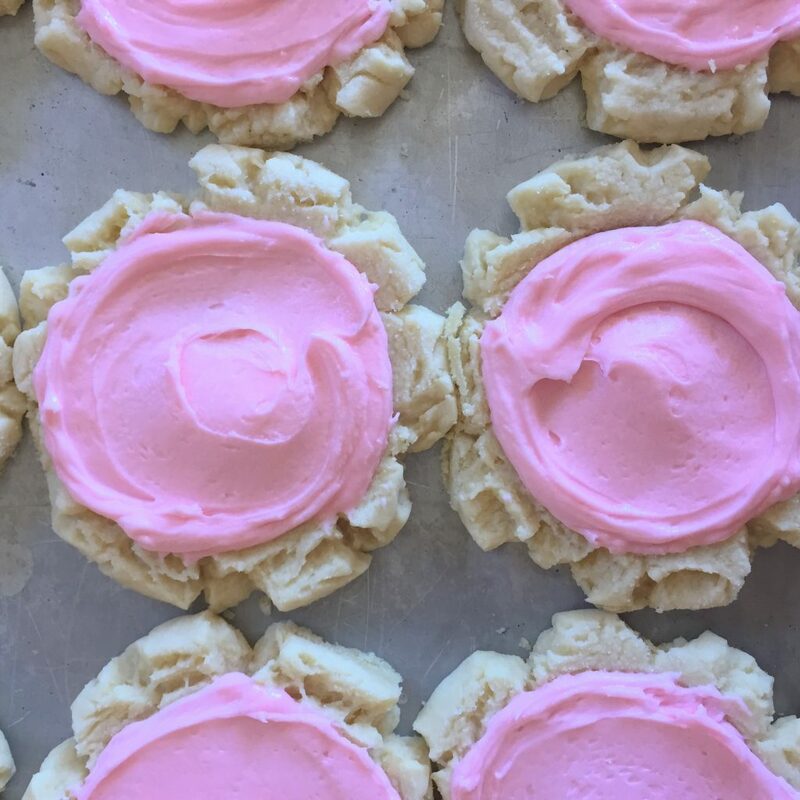 Our favorite cookies are from Swig. If you ever visit Utah, be sure to find a Swig drink stop. These Copycat Swig Sugar Cookies are so good, it helps when you’re missing these amazing cookies. I’ve been craving them lately and found a great copycat recipe online from Vintage Revivals. I only made 2 tweaks which included adding vanilla extract and almond extract (to the cookie dough and frosting). 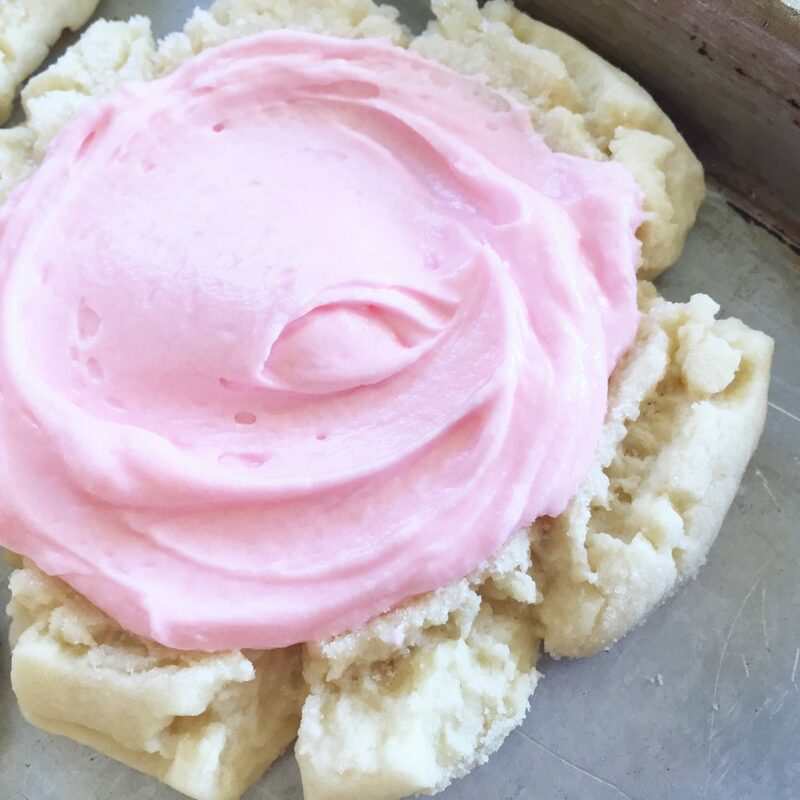 You’ll be surprised that much of the frosting is made from sour cream – I was! – but trust me, I don’t even like sour cream much and LOVED the frosting. Adds a depth of flavor. The almond extract is key. 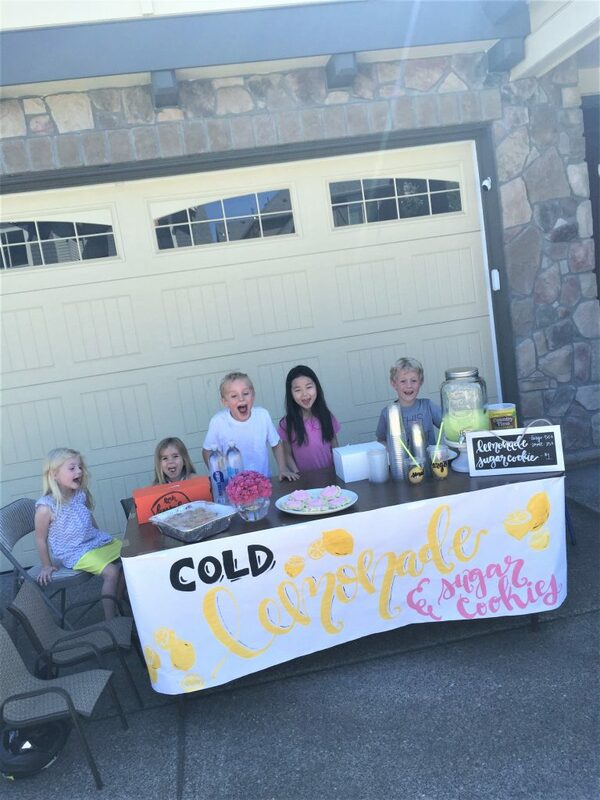 We made them for a lemonade stand and made most of our sales from these cookies! They are so good. Cream butter, oil,sugars, water, extracts, and eggs in a stand mixer with the paddle attachment. Separately, combine dry ingredients, then slowly add to wet. Mix until everything is combined. Your dough should be a little crumbly and not sticky at all. Scoop or roll dough into 2-3 tbsp. sized balls. Lay out 9-12 dough balls, well spaced, on a cookie sheet. Chill for 15-20 minutes. 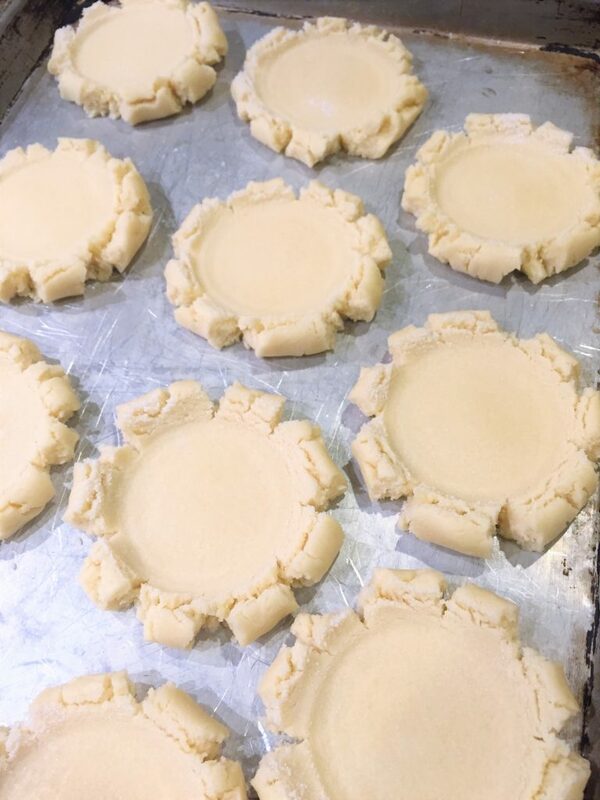 Now its time to give these cookies their signature rough edge. Put 1/4 c of sugar in a dish (this is in addition to the sugar listed above.) Stick the bottom of a glass in it. This is going to be your cookie press. Firmly press it into the center of your dough ball. You want your dough to spill out over the sides of the glass. Bake at 350 for 7-8 minutes. They should just barely be set on the top (not even brown on the top). Remove from oven and let rest on pan. They will finish cooking and form on the pan. Once they are cool put them in the fridge. They taste best if you frost them when chilled, but you can also eat/frost them at room temperature. 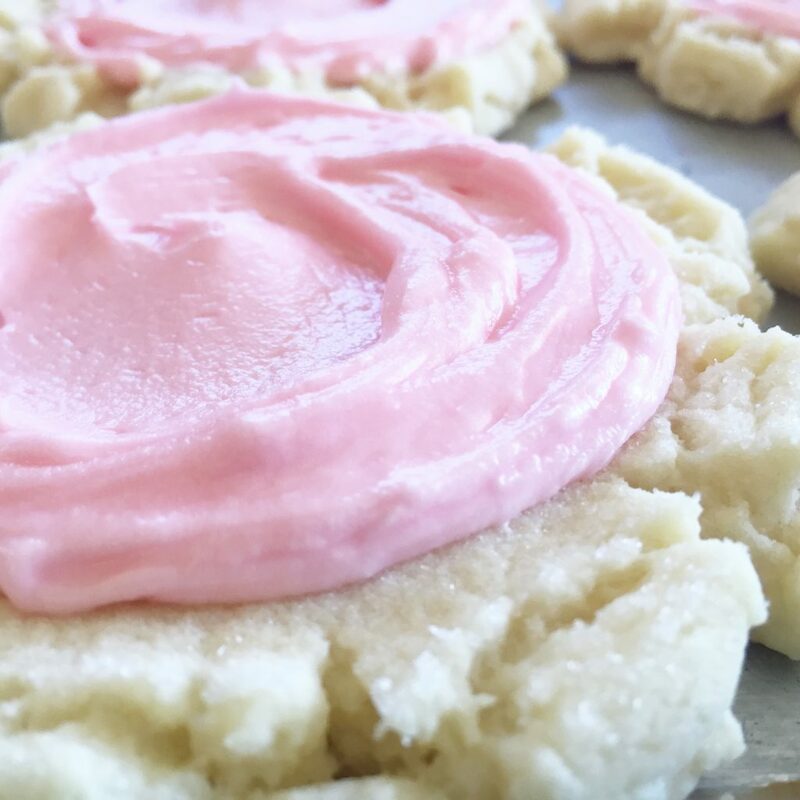 Add 1-3 drops of red food coloring (depending on how pink you'd like the frosting) and whip on high for 1 minute. 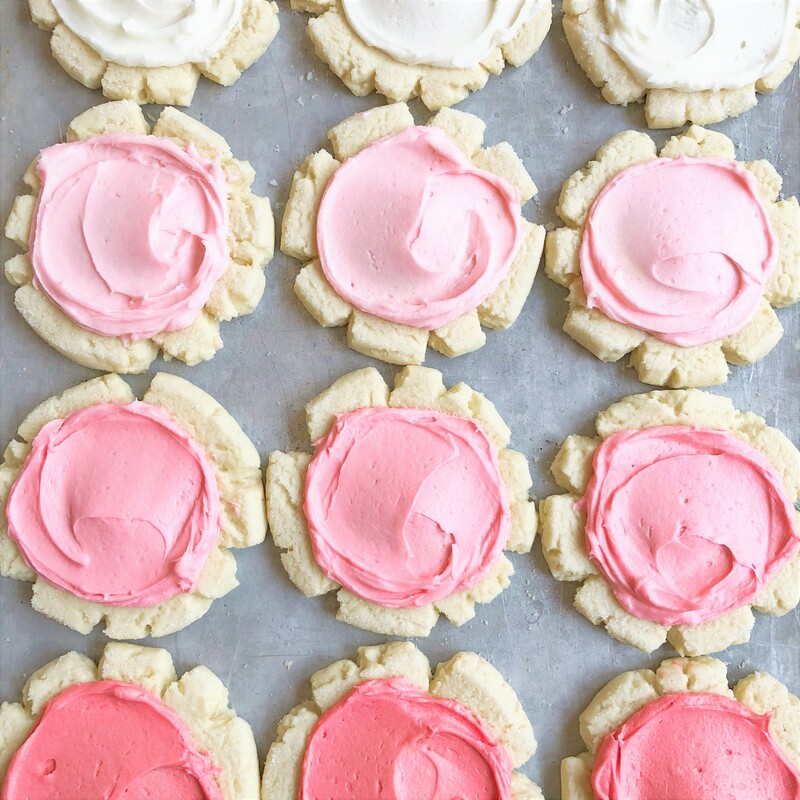 Frost chilled cookies. Eat immediately, or chill again before serving. 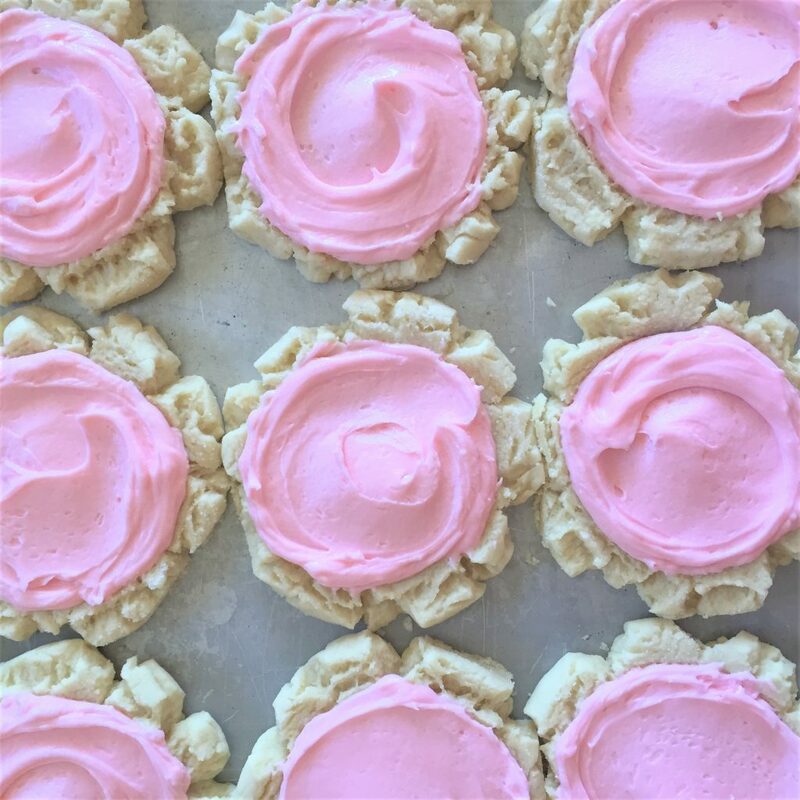 Keep cookies in a sealed container until they are ready to serve. Swig cookies taste great chilled. I even like to keep them in the freezer before transporting anywhere - makes it cleaner to transport and they'll taste great. Our stand was a hit! I credit the Coypcat Swig Sugar Cookies. People came just to buy dozens of them. 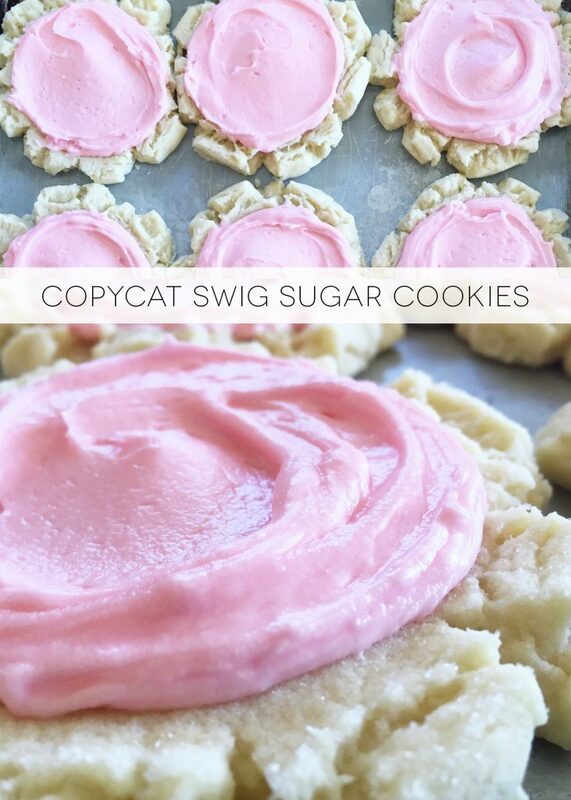 Let me know if you make these copycat Swig sugar cookies! They are delicious. These are so cute! They would be perfect for a kids party. I love your pink icing hues too!